You are here: Home / Product Reviews / Babies & Kids / The Tuckaire Toddler Indoor Travel Bed from The Shrunks: Smile, it’s Bedtime! 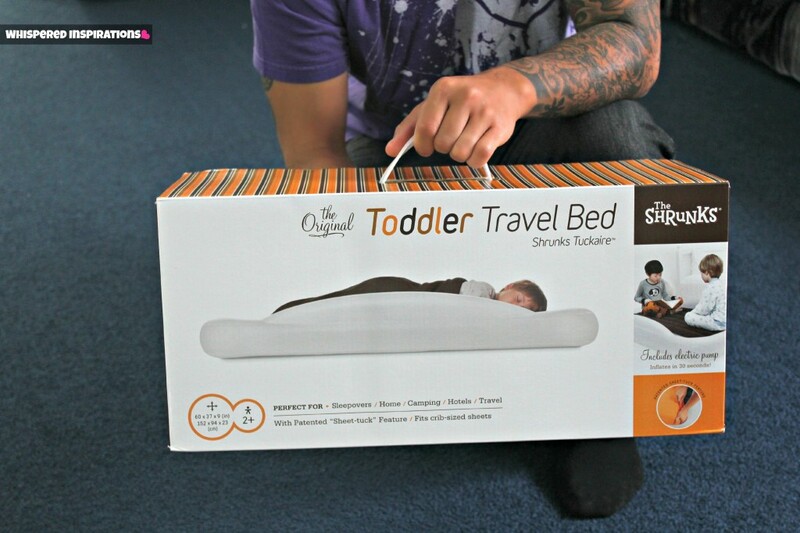 Win a Travel Toddler Bed for Your Little One! Smile, it’s bedtime With The Shrunks. If you’ve never heard of The Shrunks, well, you’ve been missing out! They believe that bedtime should be fun and above all, SAFE. They are a Canadian company hailing from Vancouver, beautiful British Columbia, Canada. To help kids gain confidence. Someone in the group brought up the role of a “shrink”, as in psychiatrist, a person you might likely see if you’re dealing with issues of fear. In the process of scribbling the word on the white board, the “i” was changed to a “u”, changing the word to “shrunk”. The word “shrunk” had a whole set of connotations on its own: to reduce (fear), make small (kids), etc. At The Shrunks, we believe that kids are cool. Creating stuff that makes bedtime fun and safe for them is what we love to do. We were super stoked to try out the Tuckaire Indoor Toddler Travel Bed for our little Mimi who is in the middle of transitioning from a crib to a big girl bed. We travel often and she is getting a bit big for the hotel cribs and she long outgrew her playpen which we donated to a young couple. We needed something that would help her gain her independence along with the peace of mind that she would be safe during the transition and while we travel. The great thing about the Toddler Travel Bed is that it’s not JUST for traveling, it’s versatile enough to be used for sleepovers at the grandparents, camping–pretty much anywhere you go! It retails for $79.99 which is a great price considering how much use you can get out of it. What I loved the most was that it comes with a sheet tuck feature which easily allows you to use any crib size sheet and tuck it in the sides of the mattress. This of course, makes it even more safe by knowing that the sheets stay in place while your little one sleeps. It is safe from Phthalates, BPA and Lead. It comes in a light weight carrying bag which is super convenient for on-the-go! Want to know what is THE best? It blows up in 30 seconds. If that’s not as easy as it gets, I don’t what is. 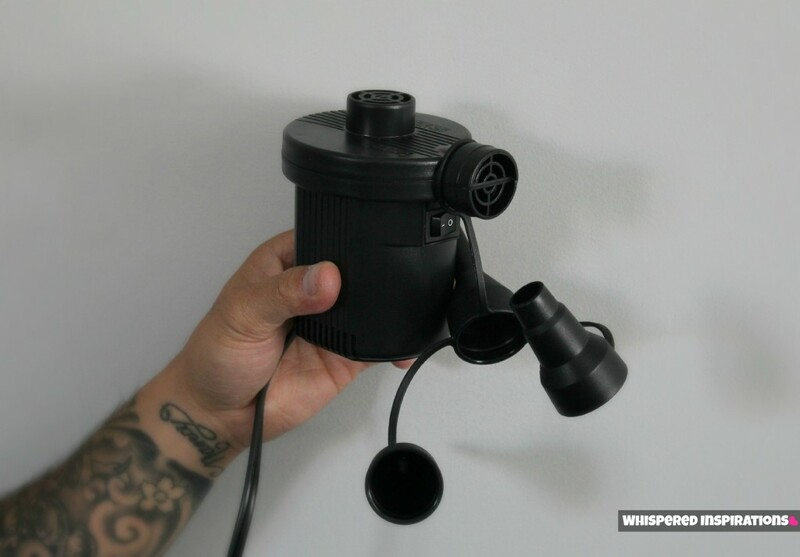 The powerful Jetaire Electric Pump is included and it also comes with a repair kit, just in case! On top of the ease of setting it up, you best believe that it is nice and soft and comfortable. Mimi wanted to jump in as soon as she saw it and when she went in, she was silly and played around and before you knew it–she was fast asleep. The mattress (which is brown) is super soft and the mattress is very light and durable. As you can see, Michaela loved it. She watched her favorite TV shows at her grandparents while she laid in the Tuckaire Toddler Bed and slowly started falling asleep. Even when she’s not sleeping, she brings her toys or books to her little bed and watches movies. It’s become her little day bed and it’s been very useful when she sleeps over at her grand parents. That’s what has me head over heels over The Shrunks is the multi-purpose it serves and how much use this is going to get. One of the best features is the patented side rails that the mattress has, so even if Mimi rolls around, she will be protected from falling off. As many of you know, we will be having our renewal at the end of the year and we are going out of the country for it! We are also going out of the country again next year and out of the million baby/toddler travel things that I could be taking, the Tuckaire Indoor Travel Toddler Bed is coming with me. What makes it so great for traveling is the travel bag it comes in, the air pump is strong and pumps up the mattress so quickly. That big toddler sized bed fits into that small bag pictured above. That’s going in my checked luggage and it’s going to be ready for two-weeks of consecutive usage. But, before then, it’ll be in use full force at the Abuelitos and weekender trips that are coming! 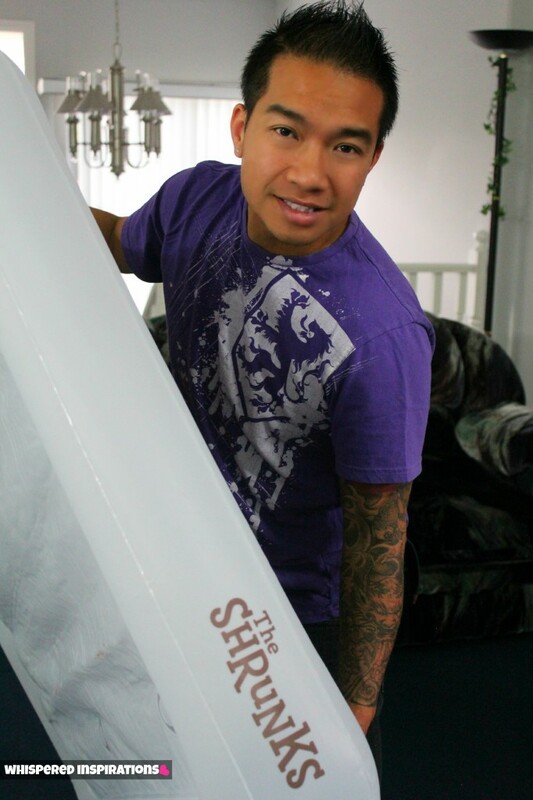 The folks at TheShrunks.com have graciously provided a Tuckaire Indoor Travel Bed for one Whispered Inspirations reader! What do you use when you travel with toddlers? I would pair this with their fitted pink sheet. What an ingenious product, I love this and I can think of so many times this bed would come in handy. I would definitely pair this bed with the Jetaire Electric Pump! My recent post Experience “Titanic” like never before! I like the Wheeled Travel bag. Love the Bones Fitted Sheet in pink 🙂 What a cool giveaway! Thanks for sharing this with us! This is an awesome product! I would love this for our toddler as he is growing out of his playpen! And the blue bones blanket is my choice. My recent post Time for a Big Boy Bed? Too cool! 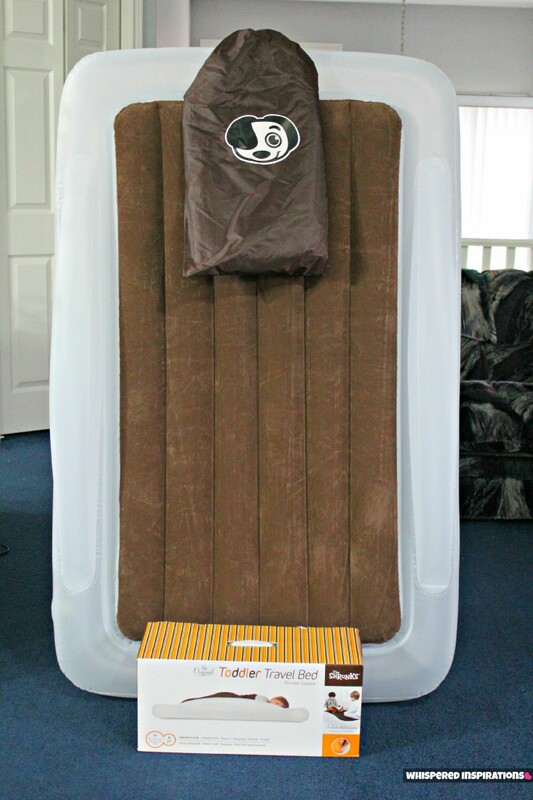 This is such a great idea; my son always struggles with sleeping comfortably away from home! I'd pair my bed with the adorable Sunny Plush Pillow! I would choose the Sunny Plush Pillow (and then maybe keep in on my bed? 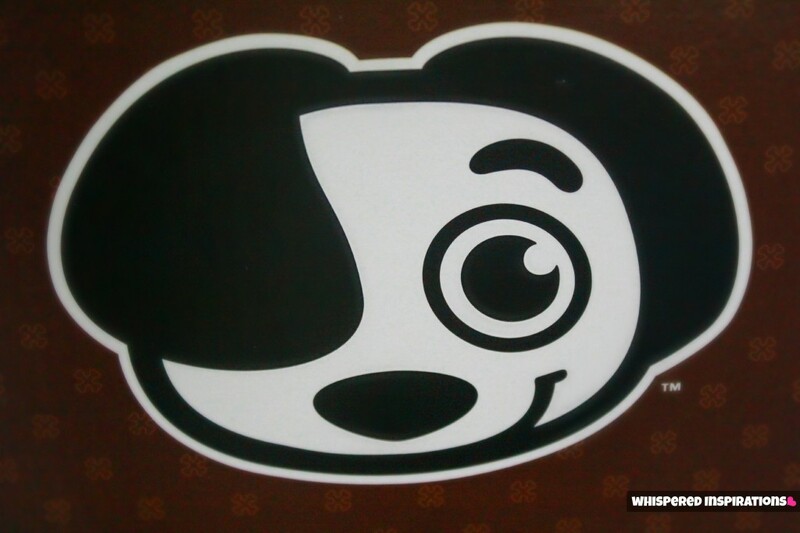 So cute!) love that bed. What an awesome invetion! That is so awesome! I so want one. My recent post Nickelodeon presents the Teenage Mutant Ninja Turles! Check out the new AR App! I love this idea!! We travel lots too and once our daughters outgrew their playpen, it was hard to know where to put them to sleep. My mother-in-law has a crib and small mattresses for them, but nobody else we visit does. This would be amazing! I'd probably get the pink sheets as I have two girls. Now that looks comfortable! WOW so excited to be introduced to this amazing company! THANK YOU! I would pair it with the Sunny Plush Pillow! So cute! This is such an awesome idea! I would choose the Bones Fitted Sheet Blue. I'd probably pair it with the electric pump. This would come in very handy. The pink fitted sheet is a must have. What an awesome idea! So cool! This is one of the coolest thing ever! Seriously! Love the Crest Blanket in orange – especially as my daughter's name starts with S! I would pair it with Sunny Plush Pillow. Bones fitted sheet in blue. I love love love this idea, especially if spending the night at the Grandparents house. I would pair it with the bones fitted sheet as well. I would like the Bones Fitted Sheet Blue. 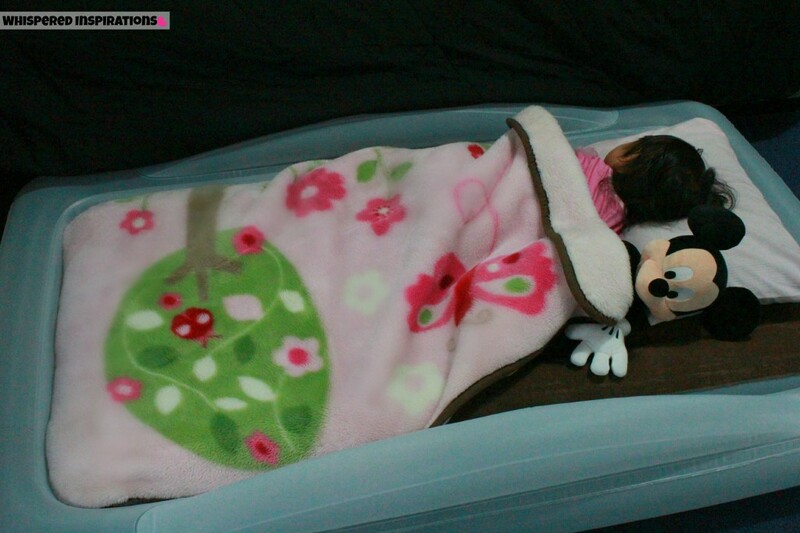 I would pair up the Tuckaire Toddler Indoor Travel Bed with the Toddler Nylon Bed Protector! What a cool way to protect such a cool bed! I like the Bones Blanket Pink. the Sunny Plush pillow, that way any of of grandkids could use it. I would want the Sunny Plush pillow to go with the bed- it is super cute! I'd pick the Sunny Plush Pillow! I would pick the bones pink blanket! My son would love the Bones Pillow. I like the bones pillow. I would pick the pink bones, very cute! We do tons of travelling too so this would come in really handy. I'd pair it with the crest blanket in orange, it's our colour! My recent post Don't Miss out on all these New Opportunities at The Zoo! I liked the bones blanket in pink. I would pair it with the bones fitted sheet pink. I like the Bones Pillow with this bed. I Like the bones blanket in pink for my dd. The Wheeled Travel Bag would be a handy accessory! I would choose the Sunny Plush Pillow. Knowing my toddler, the bed protector is a MUST.